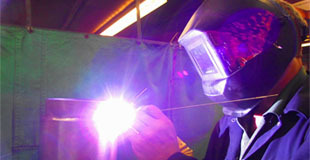 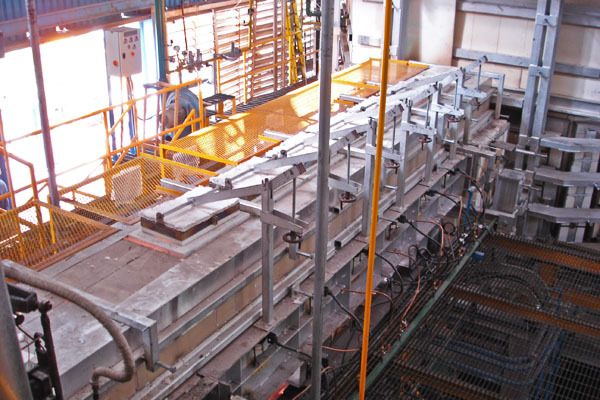 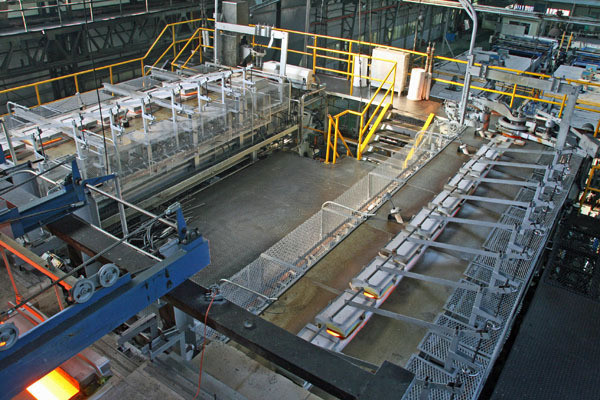 Electroglass has earned a worldwide reputation for technical innovation in the development of all-electric melters with exceptionally low energy consumption, coupled with high glass quality and flexibility of operation. 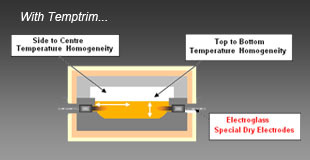 Highly efficient All-Electric Forehearths to cool and condition non-volatile glass types providing precise temperature control and consistent thermal homogeneity. 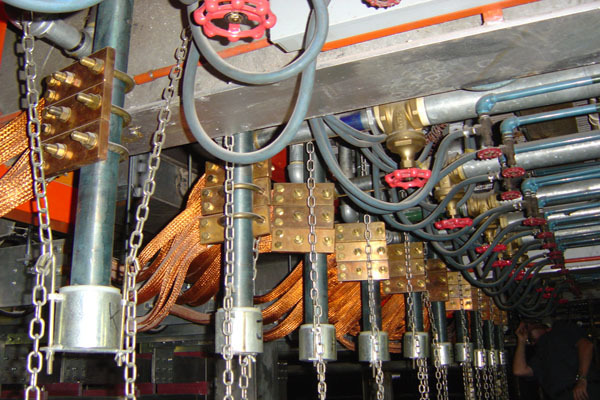 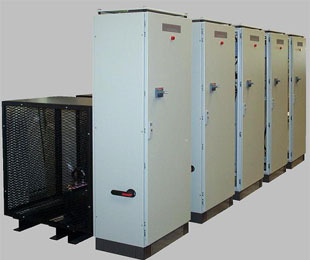 Highly efficient All-Electric Forehearths to cool and condition volatile glass types providing precise temperature control and consistent thermal homogeneity. 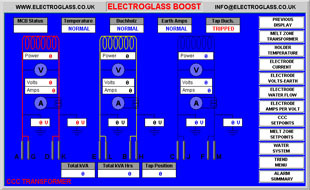 High performance electric boosting systems for all fuel and oxy-fuel fired glass tank furnaces, based on Electroglass' renowned thermal barrier boosting technology. 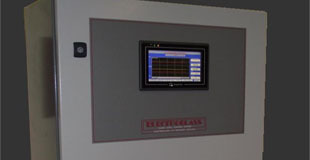 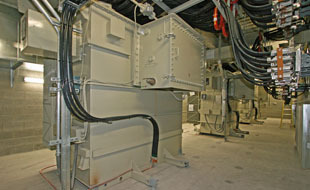 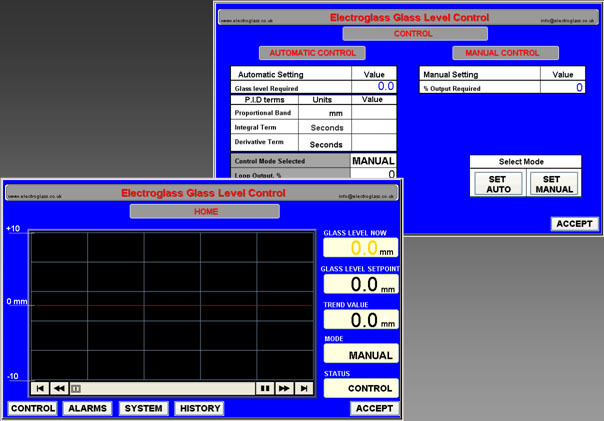 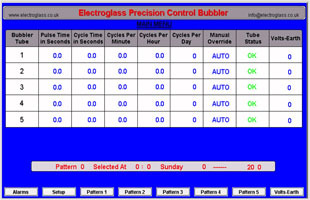 In addition to our main range of Convection Current Control boosting systems, Electroglass has developed, designed and supplied numerous special purpose systems with electrode designs, positions and connection arrangements configured to suit the requirements and properties of a wide range of glasses. 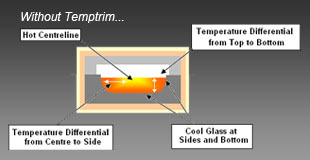 Highly effective and economical method of homogenising glass during the melting process without the risks associated with conventional bubbling. 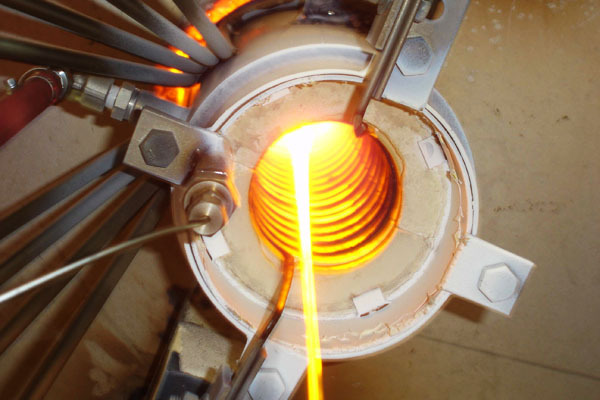 An economical solution for furnace start-ups and during operation when the need to stop or greatly reduce glass flow means a risk of glass freezing in the throat area. 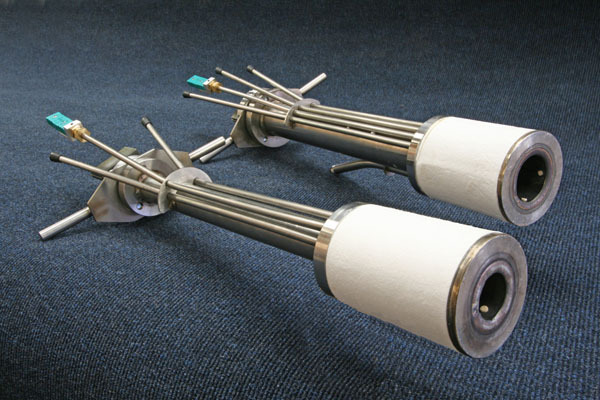 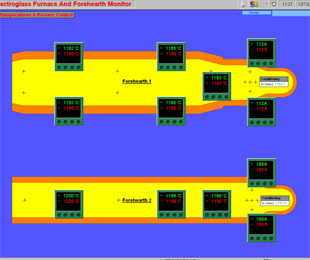 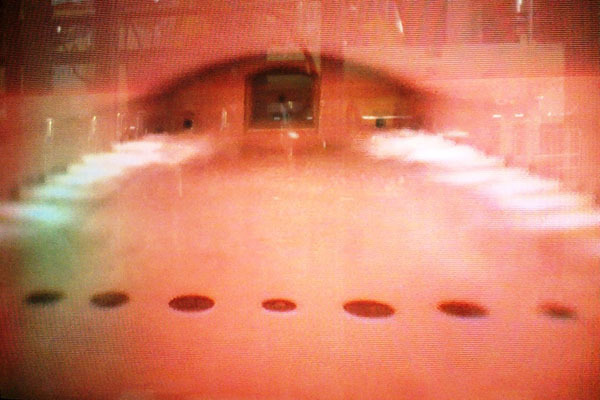 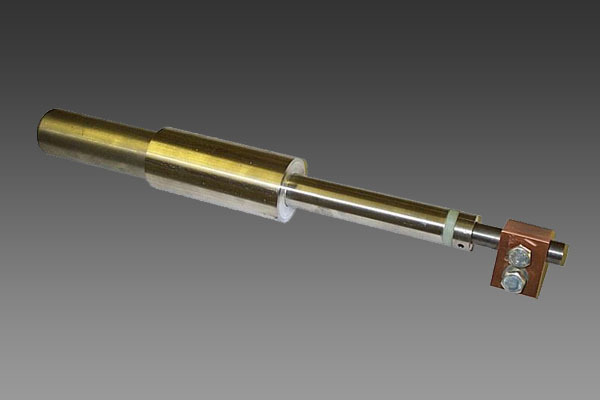 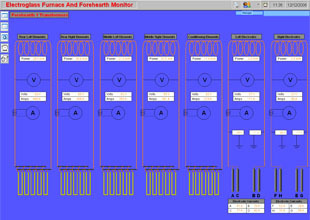 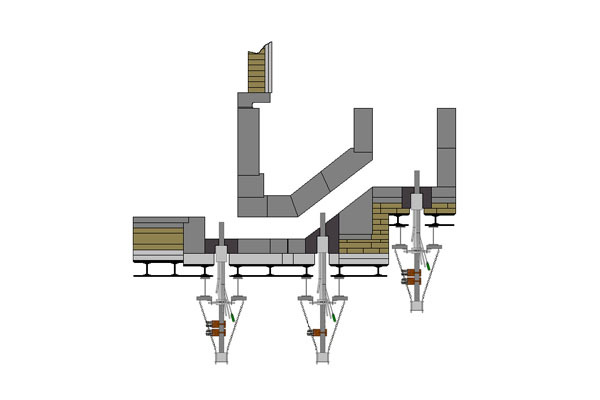 Forehearth temperature homogenisation system for installation in gas fired or electric forehearths to ensure accurate gob weight and shape control. 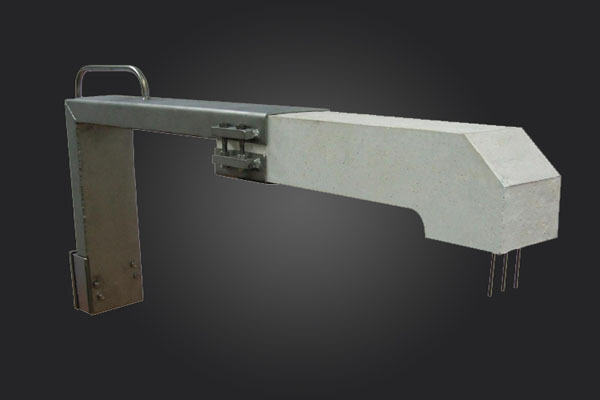 A range of Glass Level Sensing and Control Systems from basic level sensors to fully integrated stand alone control systems to meet each individual furnace and production requirements. 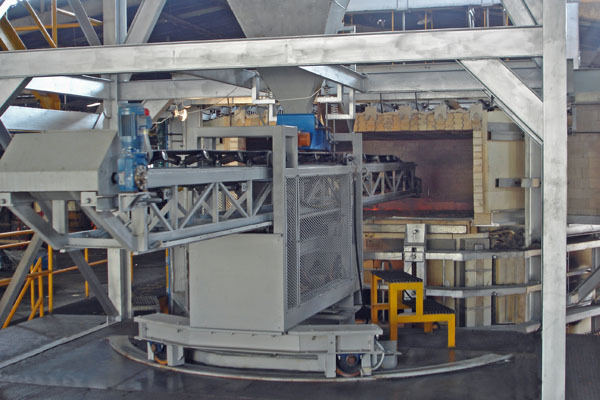 Effective continuous or semi-continuous draining of high viscosity sludge glass at controlled rates in throats, working ends, forehearths and gathering bays, for conventional and specialist glasses. 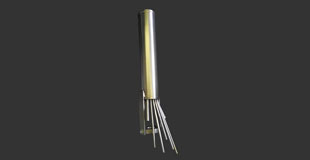 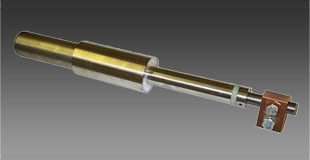 Precision made in our own workshops, using high performance heat resisting steels and with strict quality control, the Electroglass range of holders for molybdenum rod electrodes incorporate many advanced design features for energy saving, refractory protection, electrode cooling efficiency and maintenance free long life. 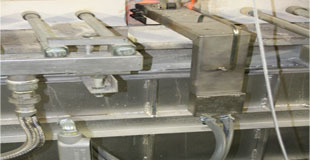 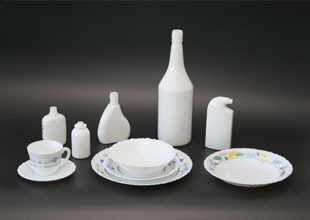 Please visit our website on a computer to view the full information on our products.